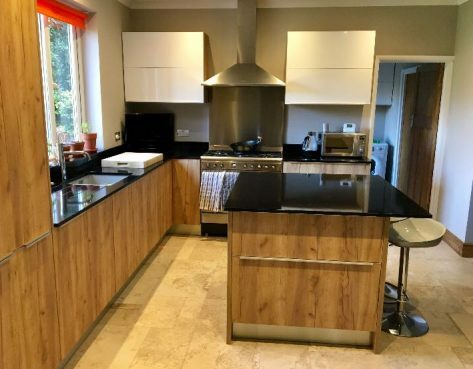 Here is another stunning kitchen we supplied in Faversham, Kent. Mrs Munts went for the popular Hanak Comfort kitchen with the “Golden Oak” style to get that real Contemporary feel. 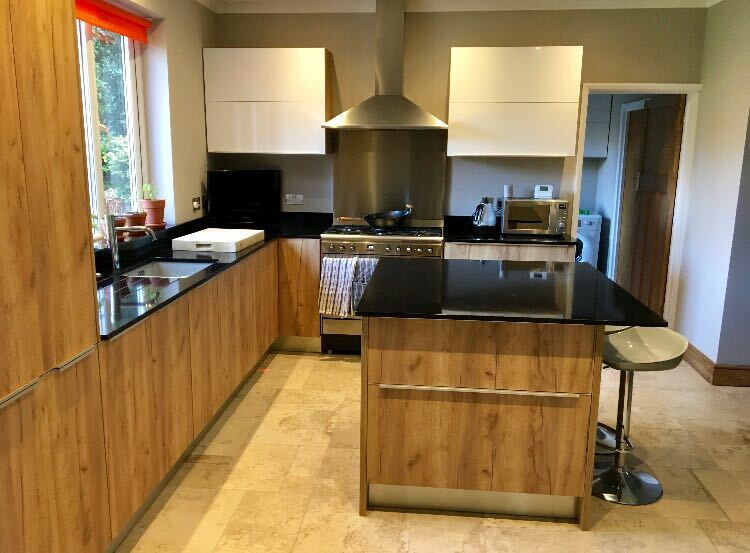 This kitchen features stainless steel plinths, 20mm CRL NOIR stone worksurface and a luxury pull out larder. 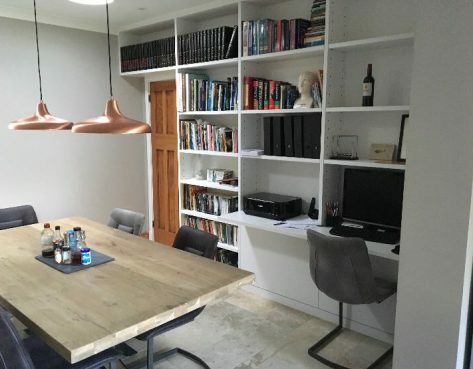 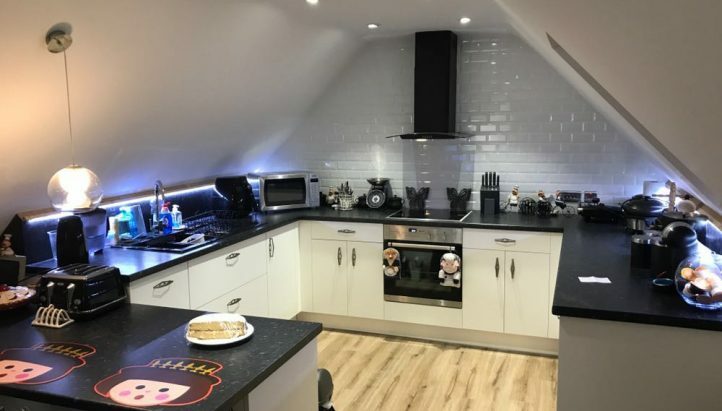 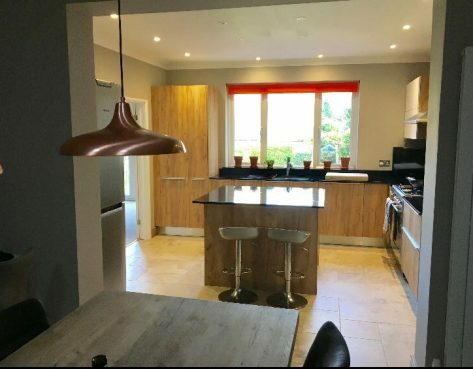 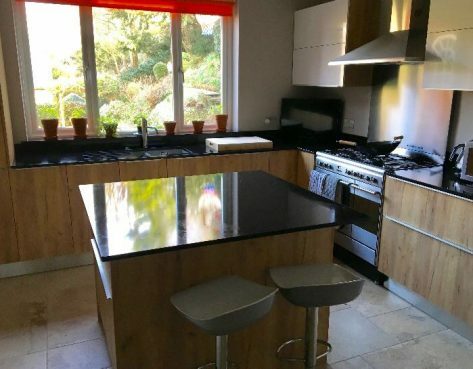 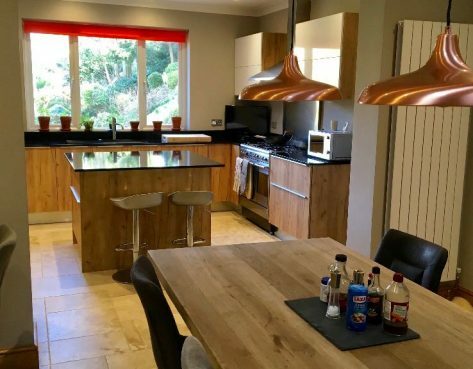 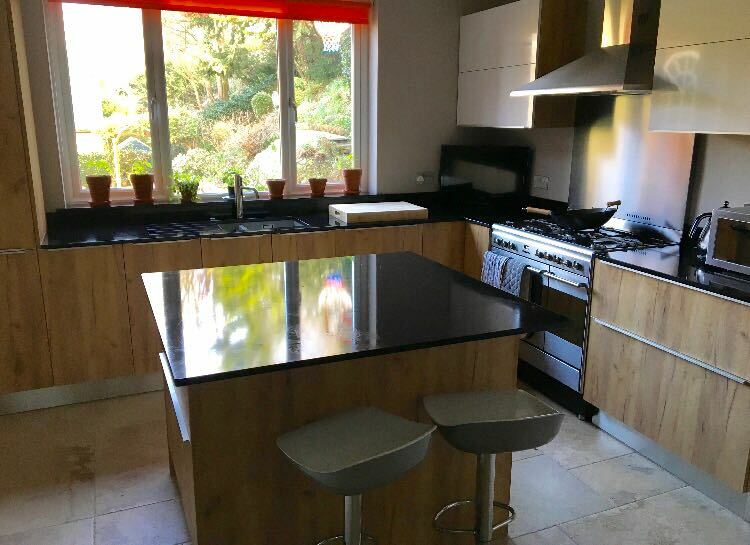 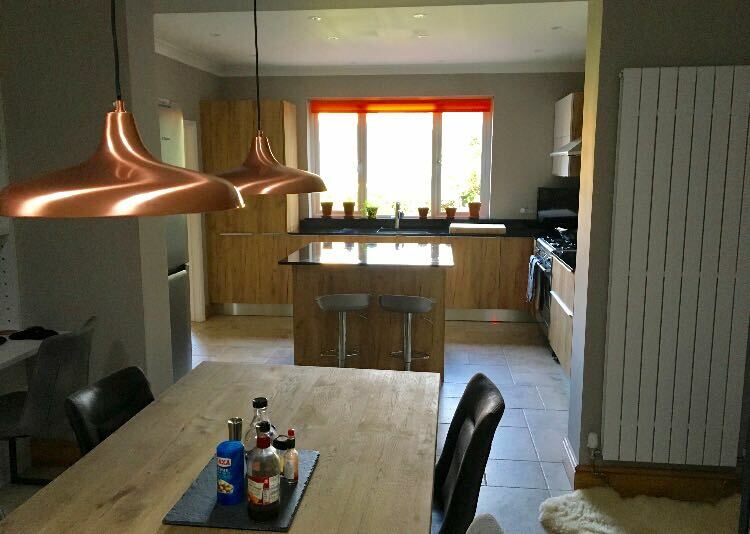 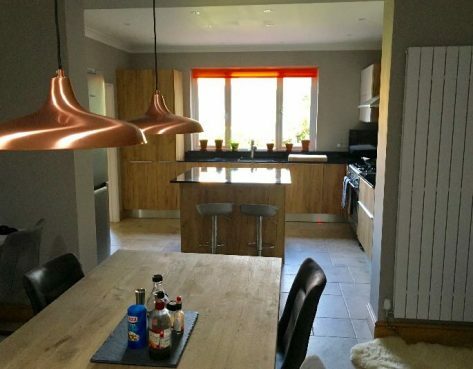 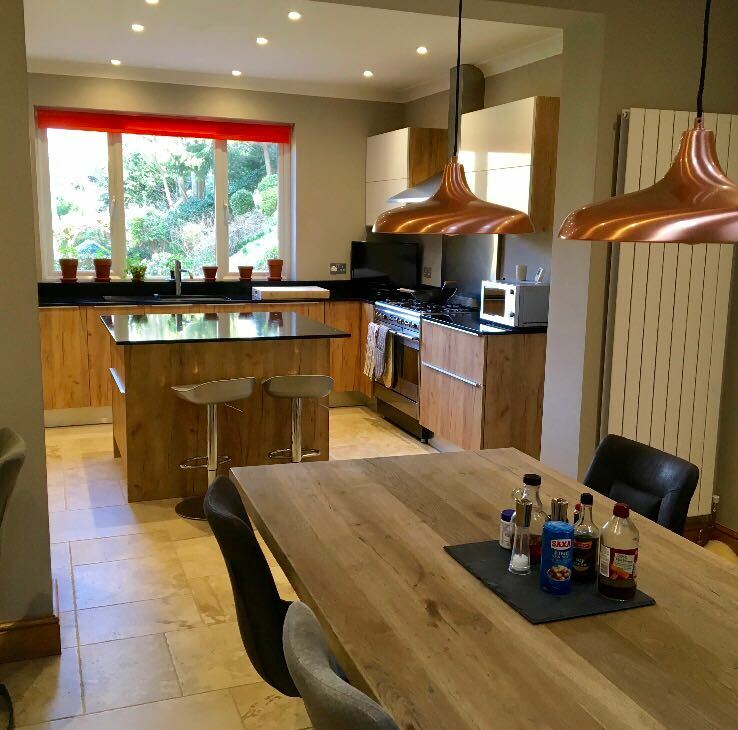 We love the outcome of this kitchen and Mrs Munts was very pleased with the transformation.